Children have the remarkable ability to learn new languages with surprising speed and native-like mastery, particularly when they are provided with the right learning environment. At Akorbi, we encourage learning new languages for people of all ages, and that includes kids! In today’s blog, the experts at Akorbi discuss the top four factors that influence language learning in children. When learning a new language, the most important factor is exposure. Does the learner experience the language in the classroom only? Or do they have native speakers in their family at home? Even better, is the learner living in a place where the language they are learning is the native language? New learners will benefit immensely from the opportunity to talk in the language, listen to native speakers, and read and write in the new language on a daily basis. Maximizing the exposure to the new language is the number one factor for language learning among children. The age of the learner plays an important role in their ability to develop mastery of a new language. The earlier a child can begin learning a new language, the more quickly and completely they will develop mastery in speech, writing, and reading. Achieving a native-like mastery of a new language can be more difficult for adults than it is for children, so it is best to begin learning at a young age and stick with it! The learner’s native language plays an important role in their acquisition of a new language. If the learner’s native language is from a similar family of languages, the acquisition process will move along much more quickly. For example, it will be much easier to learn Spanish if the learner’s native language is French. Many general language skills, such as grammar and syntax, are transferable from one language to the other. So the stronger the learner’s mastery of their native language, the more quickly they will develop mastery of the new language. When a child is first learning a new language, it can often be helpful to include education about general language skills in their native language and how those skills transfer to the new language. Just like any educational activity, the motivation of the learner is a very important factor for their success. Learning a new language can be great fun, and it can also be an important necessity. So making the most of motivation is a good way to improve language learning for children. 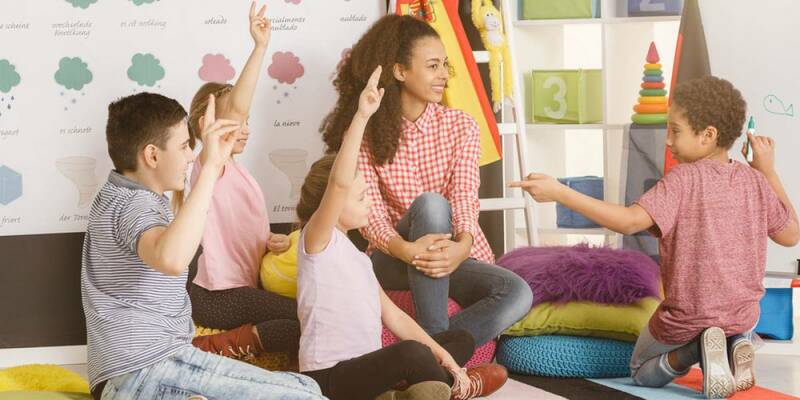 If the learner lives in their native country, but they are taking classes in a new language, they will have more success if they are taught by a favorite teacher who makes the learning environment fun and engaging. Creating a positive and enjoyable environment for learning is an important factor for success. If the learner has moved to a new country, and they must learn the new language out of necessity, this can also be a powerful motivator for success. If all the other kids in school are socializing and playing games in the new language, the learner will be much more motivated to join in and exercise their language skills. Similarly, if the everyday toys and foods and television shows that the learner experiences are in the new language, there is an intrinsic necessity to the learning that can make a big difference. Akorbi Supports Language Learning for All Ages! At Akorbi, we are dedicated to the belief that multilingual skills are important for people of all ages and walks of life. We are always in support of language learning, and that includes kids! If you are interested in learning more about Akorbi and the multilingual services we offer, reach out to our team today!